Building design might seem like a purely creative process carried out by a single architect, but with drastic advancements in computer design technology, rising expectations regarding structures’ energy efficiency and clients’ budgetary limitations, architectural engineering firms are serving an ever more crucial role in the successful design and construction of buildings. Today, architectural design services that aim to encompass the full potential of a project to create a healthy, vibrant and welcoming space for commercial, residential or mixed-use purposes supply their clients with a comprehensive package of traditional architectural design and cutting-edge architectural engineering services. Interestingly, this synthesis of professional services is intrinsically understood by the best architectural design firms like Engineering and Technical Consultants. To understand the many benefits that architectural engineering brings to a building project, let’s take a closer look at the discipline and what it means to the clients who engage these services. Consider the following statistic: The average American will spend 70 years of his or her 79-year life expectancy working and living in buildings. That’s a sizable portion of our lives by any standard. And when you link that statistic to the fact that more than 40 percent of U.S. energy is devoted to the needs of our buildings — from HVAC and climate control to lighting and security — you begin to realize the importance of designing buildings that are structurally sound, provide good air quality and have a sustainable energy system. Ensuring that all of these factors are successfully incorporated requires more than just an architect’s plans for the exterior and interior of a building. All of the project’s structural and mechanical systems — from the placement of load bearing walls to the optimized selection of lighting, plumbing and electrical systems — need to be designed by a qualified architect and engineer. Working in unison with clients, engineers and contractors, architects bridge crucial gaps in protecting the outcome of a project. It’s thanks to this reliable approach that modern projects result in buildings that have a drastically reduced carbon footprint while simultaneously creating a highly usable and healthy space where people can live, work and play. There’s no doubt that experienced architects can do a great deal to bring out the aesthetic and design elements clients want to see in their buildings. So what services do architects typically bring to a project, and what specific architectural services does our team at ETC supply? Facade Renovation: Whether it’s a Victorian-era library or a contemporary skyrise, a building’s facade is its calling card — yet it can suffer damages due to weather, collisions and years of wear and tear. At ETC, we work closely with building owners, managers, architects and historical experts to determine what’s needed to restore your property’s façade to its original beauty and structural soundness. Interior Fit-Out and Additions: Making the interior of your building suitable for occupation is critical to providing tenants or buyers with the space they desire. We provide shell and core fit-out services, Cat A fit-out services and Cat B fit-out services, depending on your project’s needs. Rooftop Garden, Deck and Penthouse Additions: As cities continue to expand, more and more people are looking to create recreational space vertically — on top of buildings. We assess the structural implications of constructing a rooftop garden, deck or penthouse on your building and produce detailed drawings and specifications for its safe creation. Renovation of Historic Buildings: Renovating a historic building is a value-add for any organization or community. Our team of specialists preserves the historical details of your property while simultaneously ensuring that the structure meets the performance requirements of a contemporary building. New Building Design: From private residences and commercial buildings to recreational structures and houses of worship, we help you bring your project to life from the ground up while always taking into account the most recent developments in sustainable and smart building materials and systems. 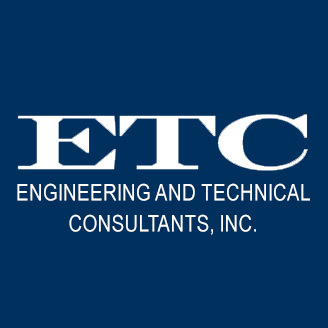 At ETC, we’re proud to have a diverse portfolio of architectural engineering projects — from historical restorations and fitness centers to commercial spaces and houses of worship. Whatever your building’s purpose, with ETC’s architectural engineering services, the final results of its design and construction will be in line with how you envision it. For more information regarding our architectural engineering services, contact us at your convenience.